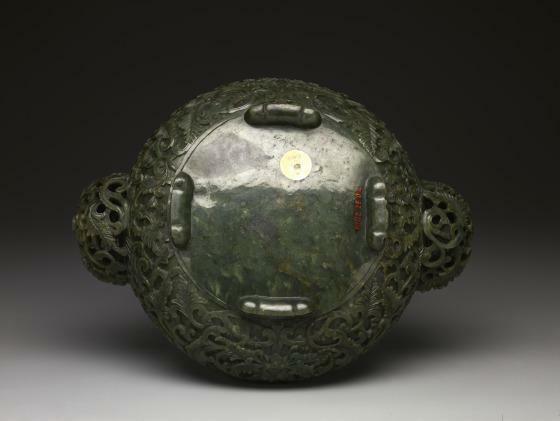 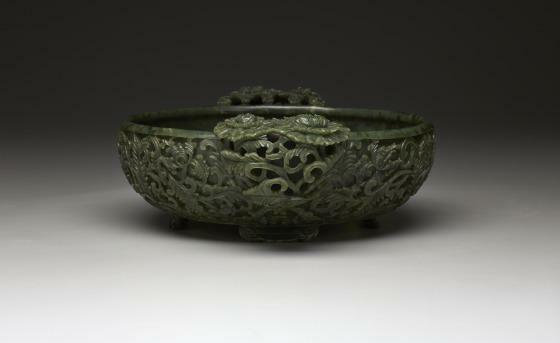 This jade bowl is carved with ferns, reeds, and chrysanthemums—plant forms that indicated fertility to the Chinese. 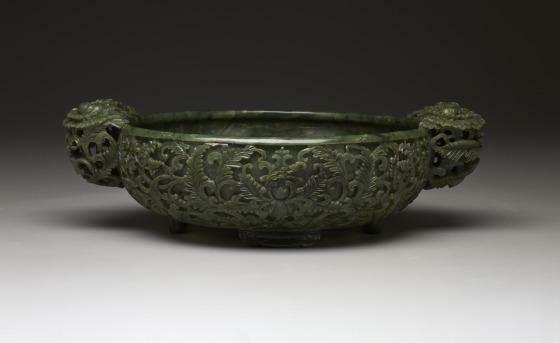 The work is an example of the way in which the 18th-century emperor Qianlong popularized artworks that suggested archaistic forms. 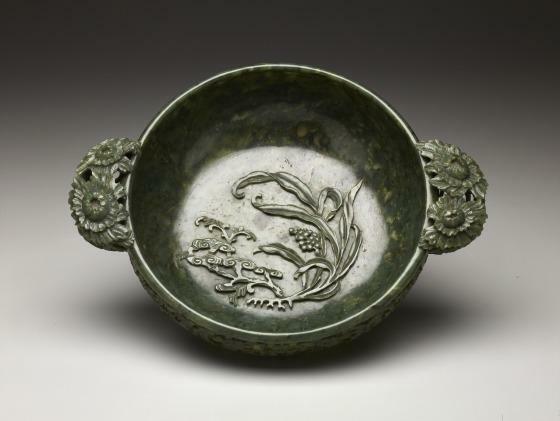 Anne Bromberg, Label text, 2015. 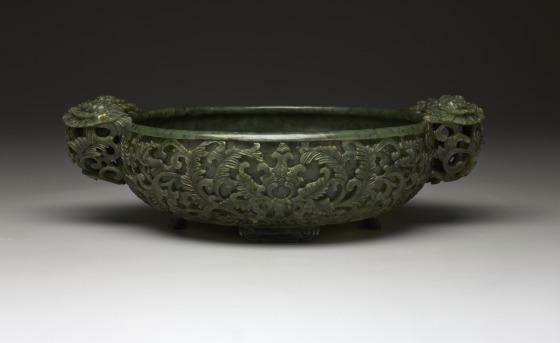 View a similar object from the Qianlong period. 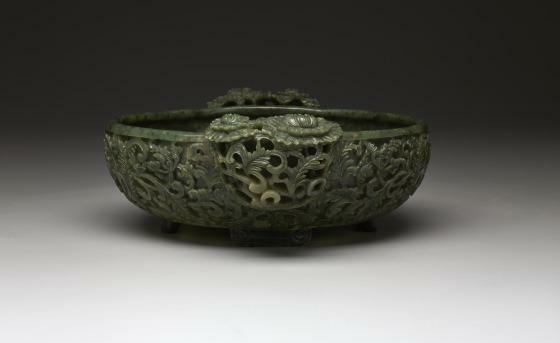 Learn more about the Qing dynasty and the Qianlong emperor.